If you are building your home, it is likely that you are looking for the best services and materials in order to ensure that you will have a perfect home in the end. It will be a waste of time and money if you were to spend so much money and time and still not be happy with the results you will get in the end. That is why you need to take note of the best services and materials to use in your home so as to be satisfied with the home that you will be building in the end. 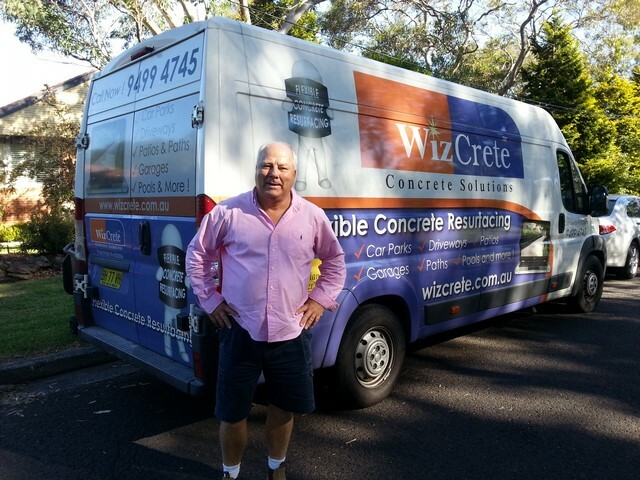 WizCrete Concrete Solutions are some of the services that you need to take note of. To start with, WizCrete Concrete solutions has been in the market for a long time already; this means that the service providers have the right experience to offer to you, services that you will be happy and satisfied with. You can therefore rely on the service providers for any concrete needs that you will have as you build your home. Those people that want to renovate their homes can also use these services in order to ensure that they are getting perfect results in the end. Service providers offering WizCrete Concrete Solutions services will offer you just what you need. The color and design that you will get will be what you have stated. They will also work within the agreed time limits in order not to delay you in any way. You can therefore count on them in order to finish the construction of your home on time, or the renovation that you are doing. What they do is to listen to their clients first in order to understand their needs in order to be able to serve them well in the end. WizCrete Concrete Solutions service providers always aim at consumer satisfaction. They will not rest until they are sure that you are happy with the services that you have been offered. If you are not happy, they are always ready to repeat the work at their own expense in order to ensure that you are satisfied in the end. If that is not possible, they will look for another service provider to do the work for you at their own expense. You will not be required to pay extra for any repeat of the services. This plus the fact that their services are affordable makes them the best to go for in order to make a huge saving for your money. Do you see cracks on your pool deck? How about nasty stains and discoloration? Is it old and dirty? Are you tired of cleaning it or even just looking at it? If you answered yes in all four questions then it’s about time to spice things up for your pool. 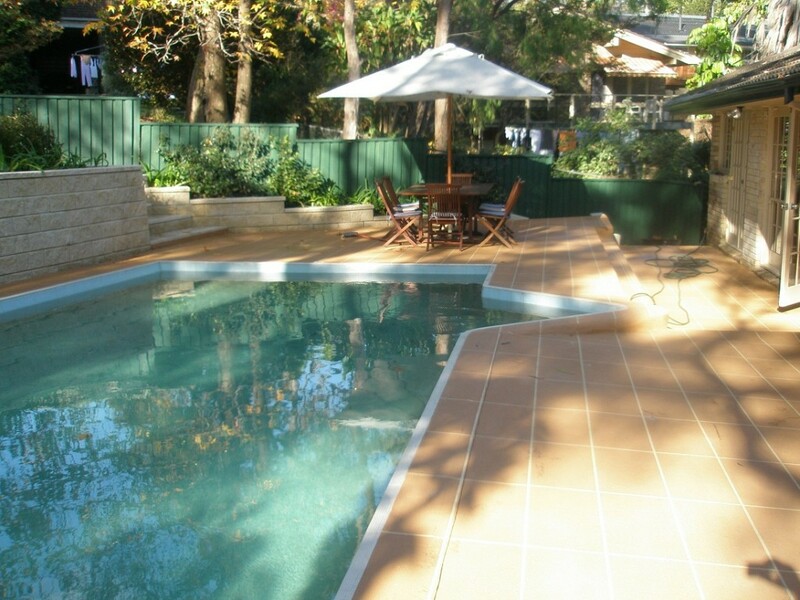 With resurfacing’s magic, you can turn your old, dull and drab pool deck into something modern, pleasant and appealing. Concrete resurfacing is the answer to your pool troubles. Cleaning pebble crete is not easy. The mere task of removing old stains can take forever because of little cranny and nooks that store up dirt and moss. You don’t have to live with it anymore. With Wizcrete Concrete Solutions, you can replace the pebble crete with concrete surface. You can add color and your personal touch to the design to make it inviting. You can invite your friends over without being embarrassed of your pool deck’s poor state. Resurfacing will not only make your pool deck look more beautiful but it creates a more pleasant atmosphere. Besides, it’s more fun to dive into a pool with a nicely designed pool deck. Redesigning and resurfacing may not be the cheaper option but Wizcrete Concrete Solutions will make sure that your investment is worth it. After all, beautifying your pool deck is not simply about changing how it looks. You are actually adding value to your property. With quality guaranteed and supported by years of experience in this business, you have nothing to worry about. We offer different kinds of resurfacing options and you can choose from a wide variety of decorative concrete patterns and designs. You can also incorporate your own personal touch and suggestions which can be included into the plan. If you want to create a theme or match a current one, you can speak with us and we will come up with a design that will meet you taste, budget and specifications. Our goal is quality balanced with sensible pricing and aesthetic value. 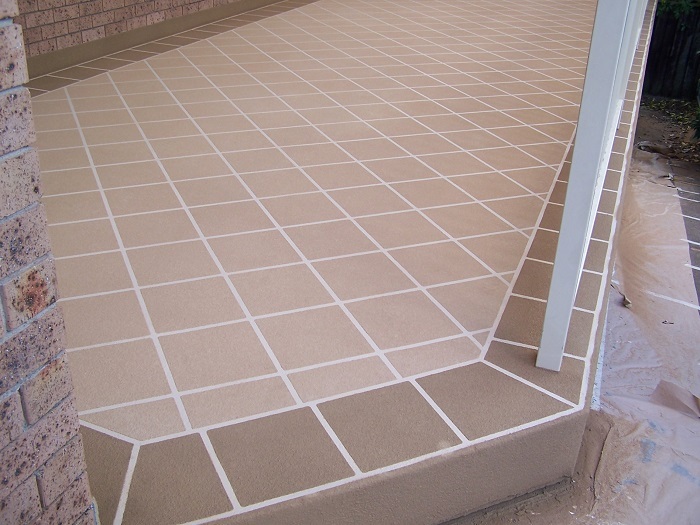 At Wizcrete, we offer you one effective solution to your pool deck problems. Revamping the surface into something modern and concrete will remove the cracks, old and dirty stains as well as the moss and mould that got stuck. If your old pool deck has been around for years, you know it’s old and ugly. And it’s always the right time when you’re spending money on home improvement. You are the one who benefits the most. You get to see a beautiful looking pool area on top adding value to your property. What is concrete? Although many would think that concrete is nothing but a dull mass of gray slab, only creative concrete experts like WizCrete know how to turn it into a masterpiece that would add value to homes and make the outdoor areas more beautiful. With its wide range of designs and colors, WizCrete can redesign and resurface any concrete works into an intricately designed piece of art that’s also built to last through many years. Many homes typically have driveways that are in plain, smooth concrete, while others have those that use interlocking materials such as bricks, cobbles, and paves. While traditional methods of designing driveways and pathways make use of concrete in its dullest, most boring form, WizCrete fully understands the answer to providing decorative concrete solutions. It is with this understanding that we are able to harness the strength and durability of concrete, and turn it into a beautiful piece of art that every home in Sydney deserves to have. WizCrete is the leading provider of concrete solutions throughout Sydney, and our best intentions of providing our valued customers with the best quality of concrete solutions have helped us win numerous achievement awards in recognition of our collective efforts. From concrete resurfacing to concrete design and painting, WizCrete has become the trusted provider of concrete works , and we are well known for working meticulously on every detail to ensure that we only give our customers what they deserve – unparalleled quality in concrete surfaces. The art of concrete resurfacing has emerged to give households an option of improving their homes without having to spend too much on labor and materials, yet very little is understood about it. Many would still ask questions such as “What is concrete resurfacing?”, or “How does it add value to my home?”. 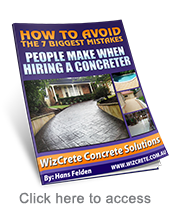 WizCrete holds the answers to all these questions on its website at Wizcrete.com.au., and we also provide free quotes to those who are interested in letting us have a look at the work that needs to be done on their concrete surfaces at home. To learn more about what we can do with your concrete so that it can add beauty and value to your home, contact us at (02) 9499-4547 and let our professional creative team help you out with your needs and preferences to your concrete solutions. and workers on our side, we are bound to deliver nothing but great qualitative work. Don’t wait any longer to give your driveway a touch up, contact us today for a free quote. concrete surfaces), concrete polishing, concrete repairs and waterproofing. with our designs, so ask our representatives about our wide range of options available.